TTUHSC School of Nursing offers a Second Degree BSN accelerated program for the student with a previous college bachelor's degree. The BSN nurse is prepared to meet the challenges of a complex and changing healthcare environment in the 21st century. This accelerated 12-month program has online classes with clinical instruction guided by assigned clinical coaches and nursing clinical faculty. 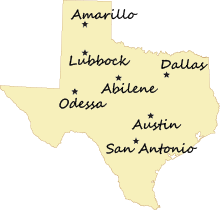 Oversight of clinical hours is done by coaches and nurse-educator oversight in the students' own communities of Abilene, Amarillo, the Austin-Hill Country area, Dallas, Lubbock and Permian Basin. Upon completion of prerequisite courses, the Second Degree BSN program can be completed in 12 months (61 semester credit hours). Due to the intensity of the Second Degree BSN program, it is strongly recommended that students do not seek employment for the duration of enrollment in the program. Click here for more information. Although academic criteria (cumulative GPA, grades earned in science courses, and failed/repeated courses) is an important factor in admission consideration, additional non-academic information is also important. Although Academic Criteria (Cumulative GPA, Prerequisite Science GPA [grades earned in science courses, and failed/repeated courses]), is an important factor in admission consideration. Additional Non-Academic information is as important. Applicants interested in applying for financial aid (student loans, grants, scholarships) upon admittance to the School of Nursing must complete a Free Application for Federal Student Aid (FAFSA) at http://www.fafsa.ed.gov/. The School of Nursing requires a FAFSA on file to be eligible for scholarships offered by the school.